1.Our Flashing LED Butterfly Wand is sure to make any little girl feel special. 3.Each 17" multicolor butterfly wand has bright LEDs that flash in one of three lighting functions and plays Oriental music. 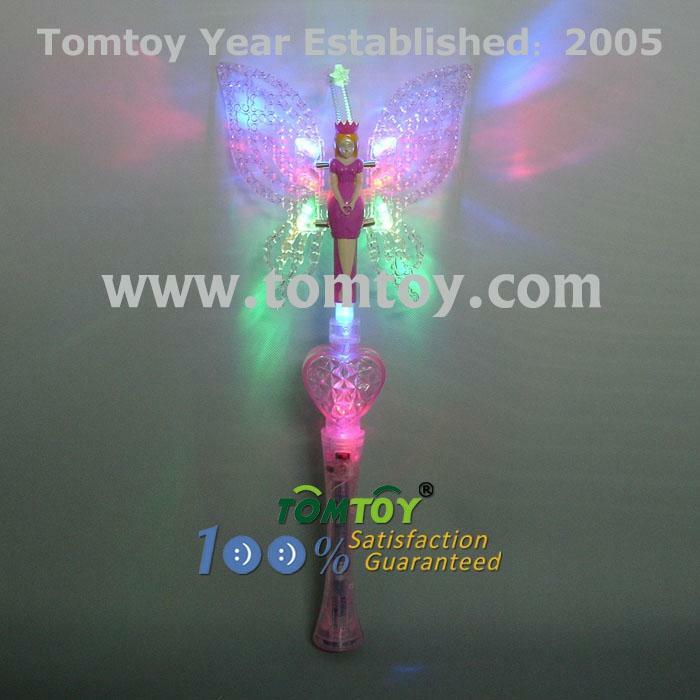 5.Each Flashing LED Butterfly Wand comes with three AAA batteries included and installed.